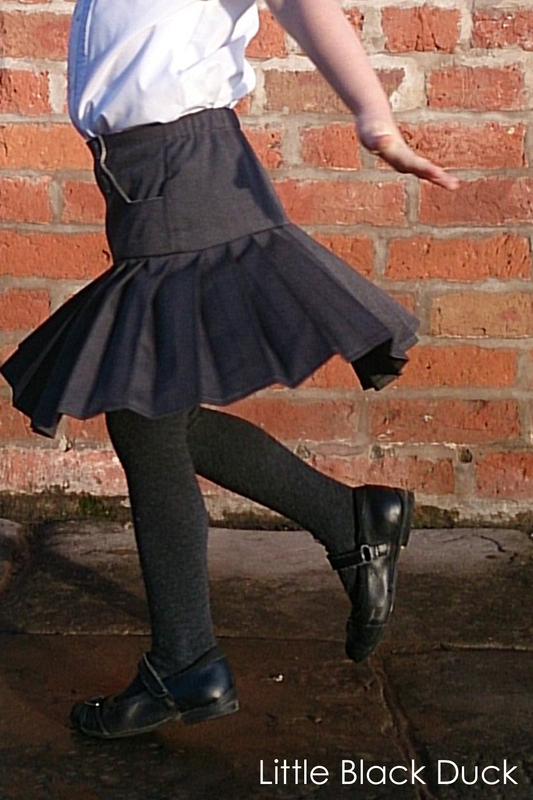 Did you take part in Kid’s Clothes Week in October? I took part and managed to complete two great items for Charlotte. 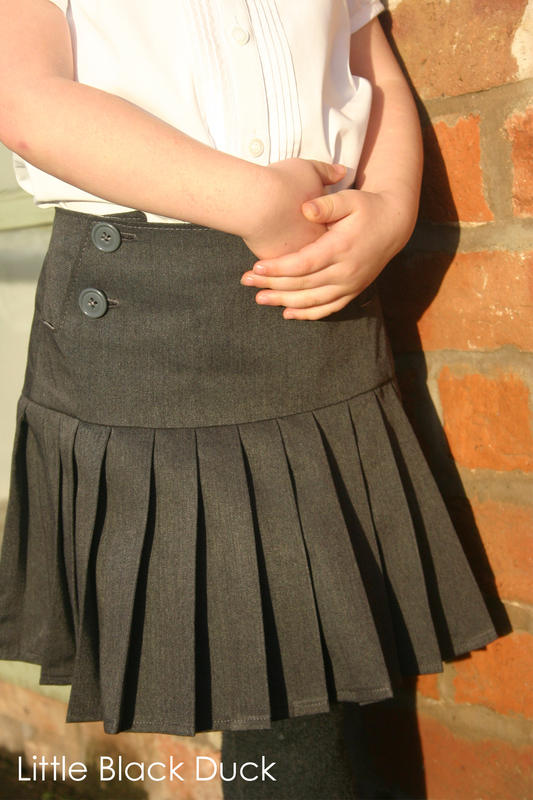 The first of which was a Schoolday Skirt from Blank Slate Patterns. I made it in ‘school standard’ grey so that she could have something to wear to school that hasn’t been made out of terrible quality jersey (I swear one of the skirts she has started to bobble after the first wear) or has been made out of cheap and stiff polyester. Don’t get me wrong, the uniform you can buy from supermarkets and department stores is amazingly cheap, but they aren’t exactly made from lovely fabrics. 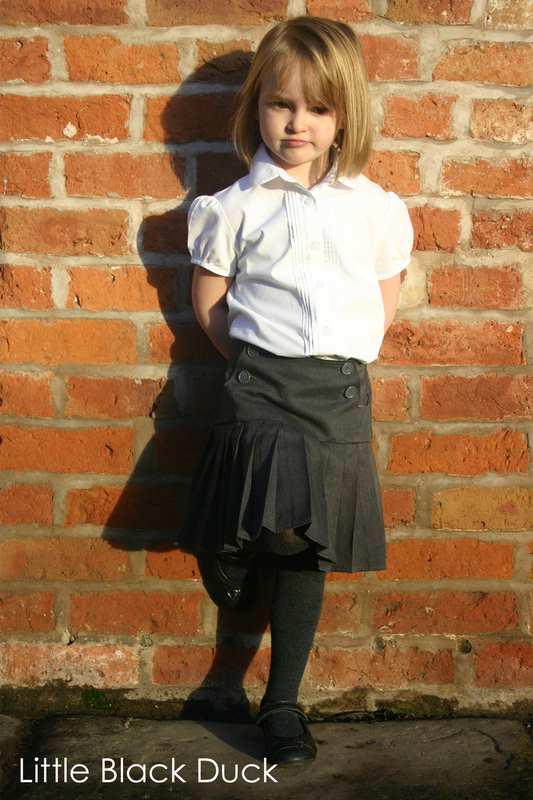 The Schoolday Skirt is a lovely pattern that features a flat sailor type front with buttons, a softly elasticated back and a lower skirt full of perfectly pleasing pleats! The pattern was really easy to follow and there were lots of photographs to support the nice and clear step by step instructions. The only change I made was to use a lining fabric for the facing of the front sections, rather than a self fabric facing as I was concerned about adding too much bulk with the fabric that I had selected. In the end I think I may have been able to get away with it. The only hitch was a wonky button hole that I had to unpick…I seriously hate unpicking, so the fact that this skirt was finished was a minor miracle! Did you take part in Kid’s Clothes Week this October? How did you get on? Fabulous, why be dull when it comes to uniforms? Thanks for sharing! I’m featuring this tomorrow. Thanks for featuring our version of your fab skirt!